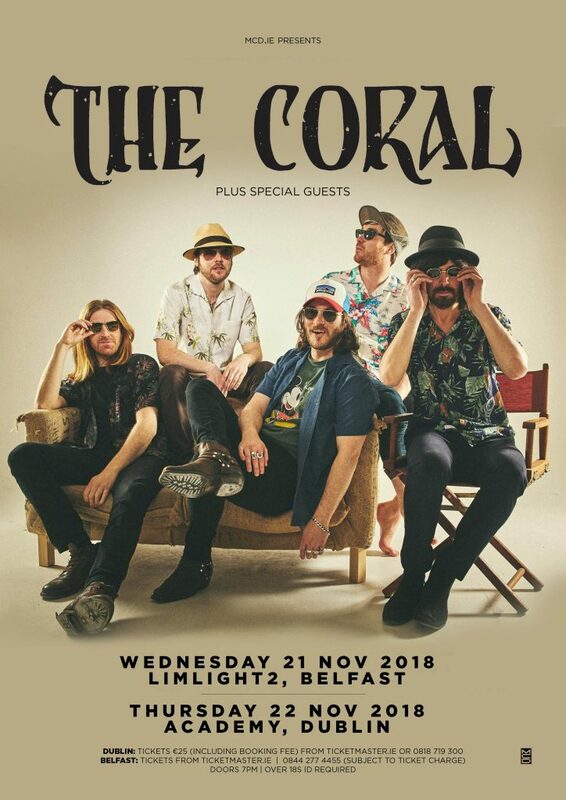 Sign up to The Coral newsletter here. 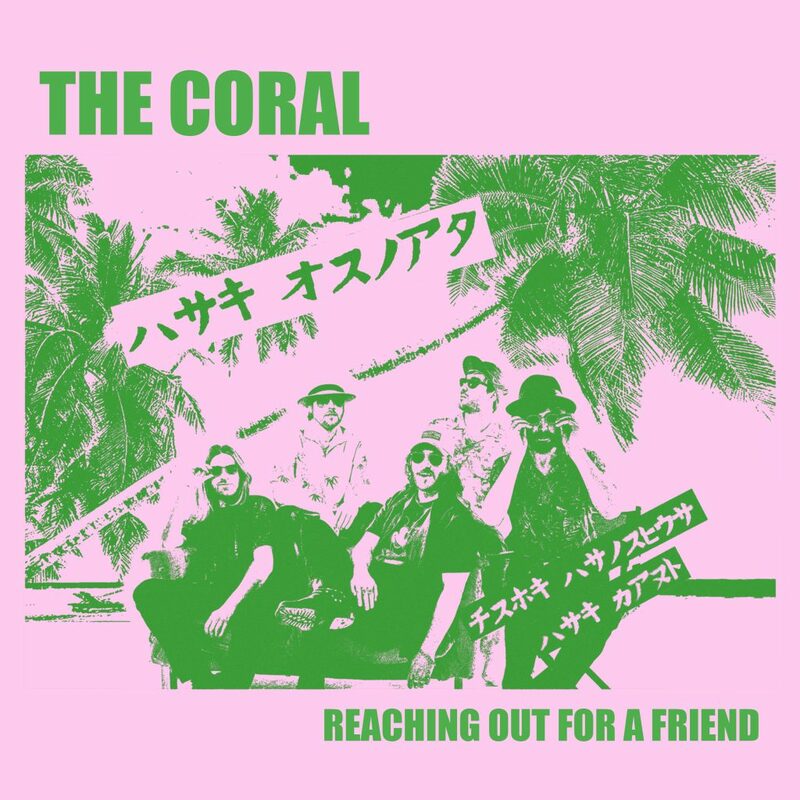 Watch the new video for The Coral’s latest single, ‘Reaching Out For A Friend’ taken from their latest album ‘Move Through The Dawn’. Listen to ‘‘Reaching Out For A Friend’’ now! The Coral’s brand new album ‘Move Through The Dawn’ featuring the singles ‘Eyes Like Pearls’ & ‘Sweet Release’ is out today! You can stream, download or get signed CDs, signed vinyl, limited edition picture discs & signed cassettes from the following link now. Enjoy! 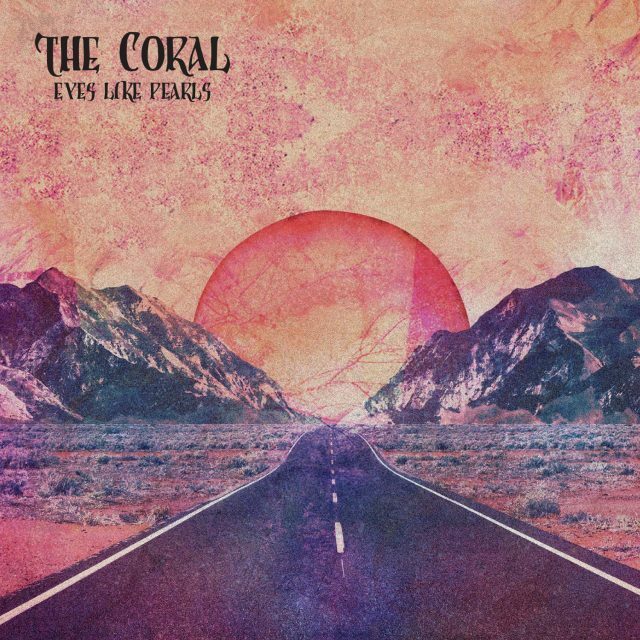 Watch the new video for The Coral’s latest single, ‘Eyes Like Pearls’ out today! ‘Eyes Like Pearls’ is the second single from the upcoming album, ‘Move Through The Dawn’ (out Friday 10th August). Listen to ‘Eyes Like Pearls’ now! 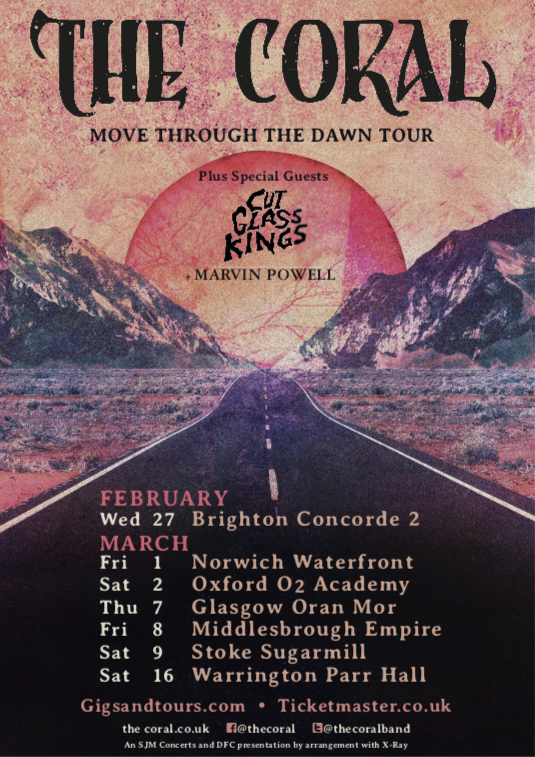 Pre-order the new album ‘Move Though The Dawn’ from The Coral’s official shop for ticket pre-sale access on Wednesday 16th May at 9am, ahead of the general on sale at 9am on Friday 18th May. Click here to visit the official shop. 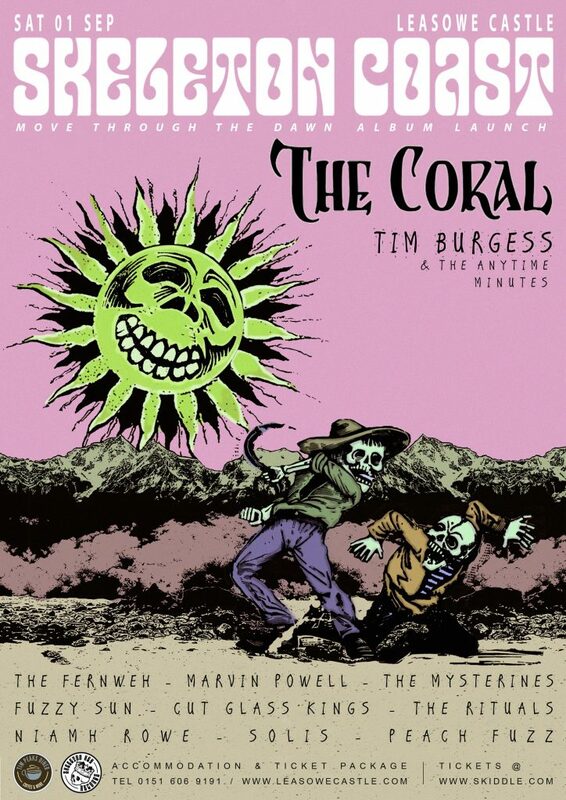 If you’ve already ordered ‘Move Through The Dawn’ from The Coral’s official shop, you’ll shortly receive an email to the address you used to place your order containing details to access the pre-sale. September at Leasowe Castle featuring an amazing line up curated by Skeleton Key Records and The Coral! The festival line up includes special guests Tim Burgess & The Anytime Minutes, The Mysterines, Cut Glass Kings, Fuzzy Sun, Peach Fuzz, Fernweh, Marvin Powell, Rituals, Niamh Rowe and Solis. 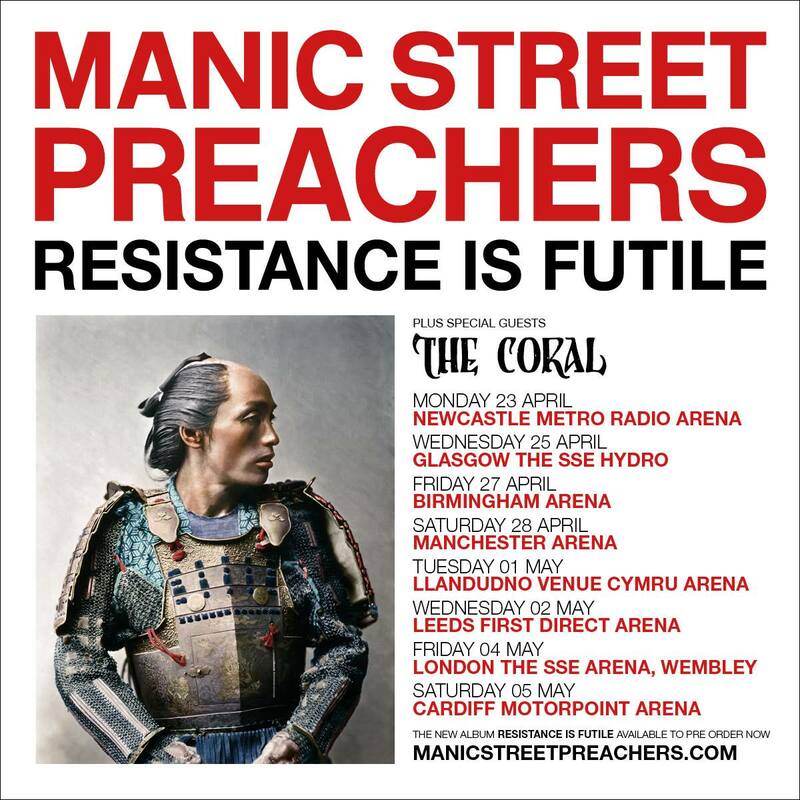 Tickets on sale Friday 11th May at 9am via https://www.skiddle.com (£30 plus booking fee). Tickets are strictly limited – don’t delay! 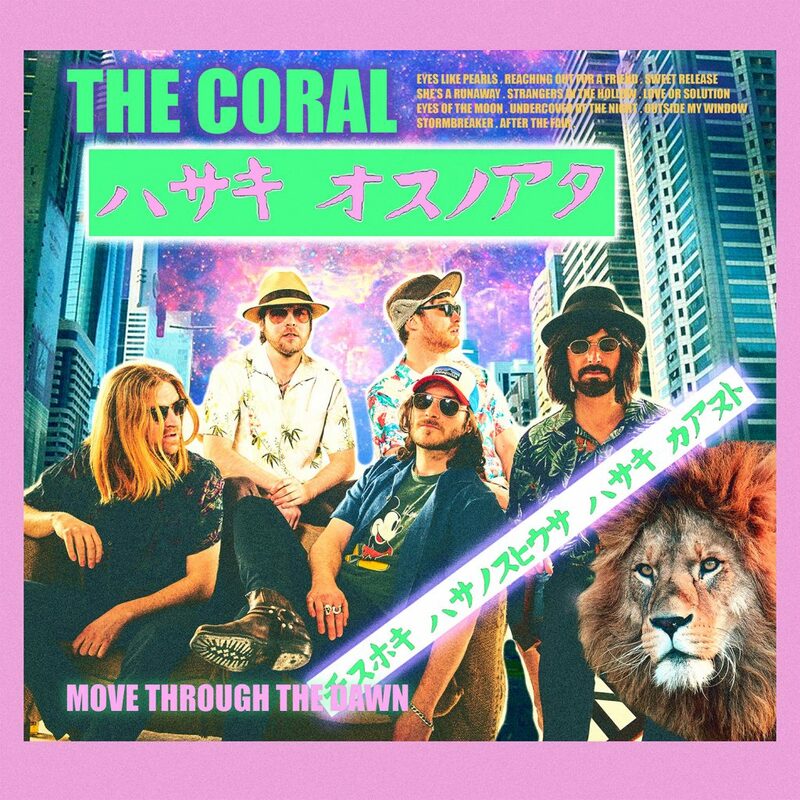 The Coral are pleased to announce their new album ‘Move Through The Dawn’ – out Friday 10th August 2018. 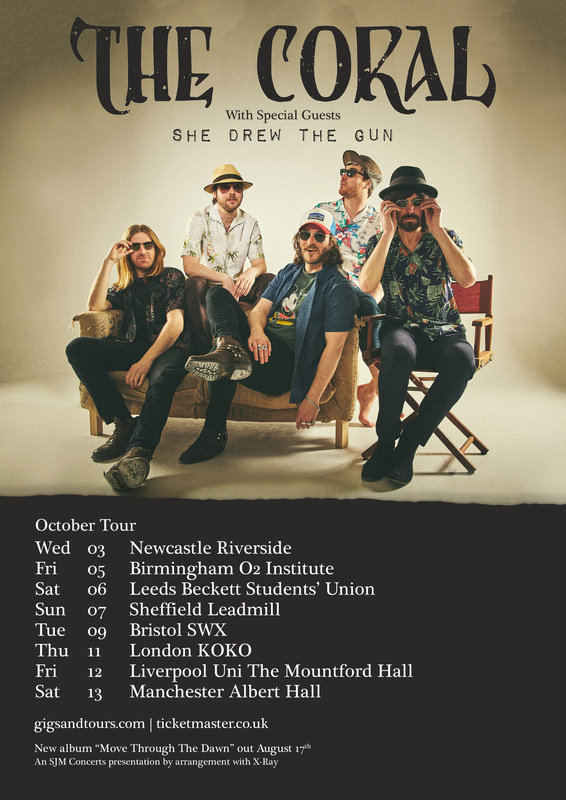 The album features the new single ’Sweet Release’ out now and available to pre-order on 7’’ from The Coral’s official shop. Signed albums, limited edition vinyl and cassettes are available exclusively on the official online store, alongside ’Into The Void’, a new book from The Coral’s keyboardist, Nick Power. ‘Into The Void’ is a first hand account of the recording, release and touring of ‘Distance Inbetween’. Album pre-orders made via the official shop will be eligible for ticket pre-sale access when dates are announced. “There are moments on a tour when things suddenly become crystal clear. You’ll be ghosting down a strip of tarmac somewhere in the early hours, half asleep, and it’ll hit you collectively, like some shared hallucination. On a motorway between Leeds and Newcastle, we’re talking about production for the next album. It’s about two o’clock in the morning and we’ve just passed the Angel of the North, the huge iron siren and pagan-like gateway to the Tyneside area. Seeing something that mysterious can bring about a change in the way you think, if you know what I mean. 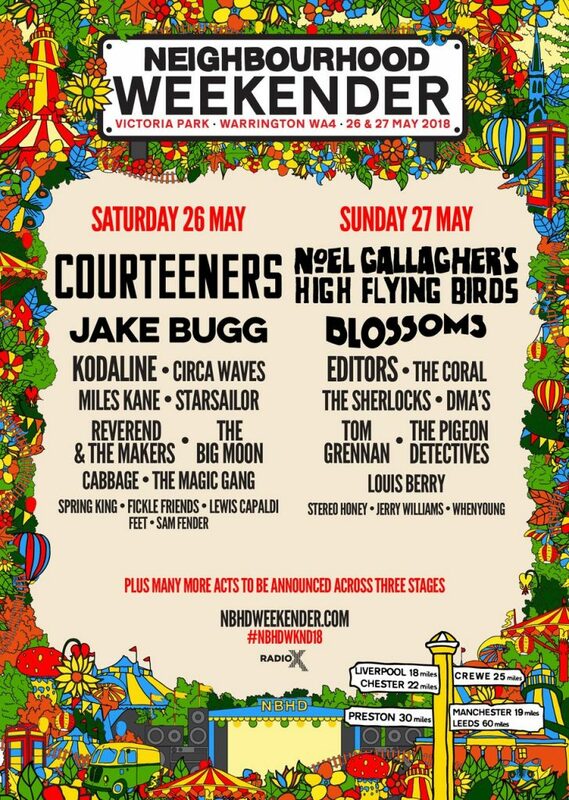 The Coral perform at Neighbourhood Weekender, Victoria Park, Warrington on Sunday 27th May 2018! Neighbourhood Weekender is a new 2 day festival featuring headliners The Courteeners (Saturday 27th) and Noel Gallagher’s High Flying Birds (Sunday 28th).